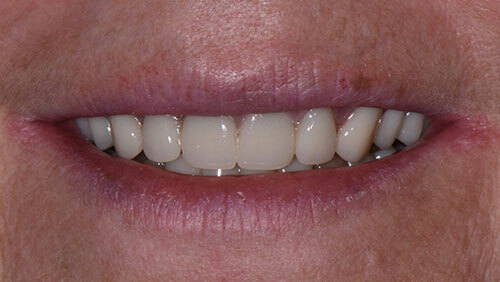 Incredible results and inspiring journeys – check out some of our patients' before and after photos. 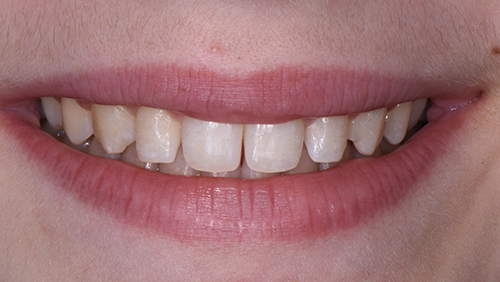 Bonding - Naturally narrow teeth left spaces after orthodontics. 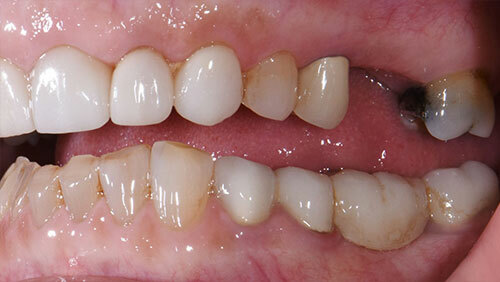 Bonded composite restorations filled in smile. 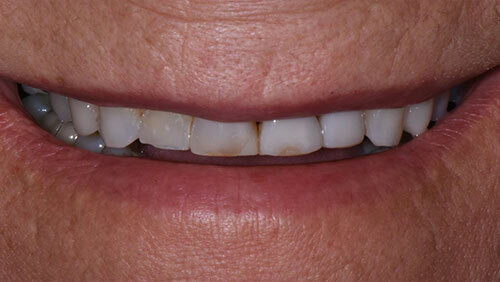 Bonding/Crowns - Old porcelain/metal crowns were replaced and bonding on centrals even out smile line. 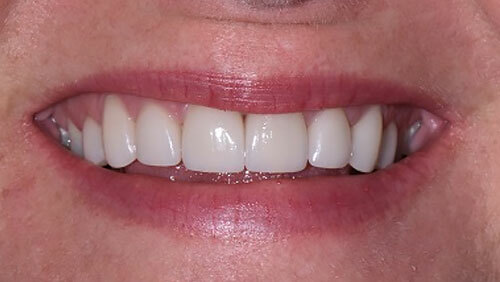 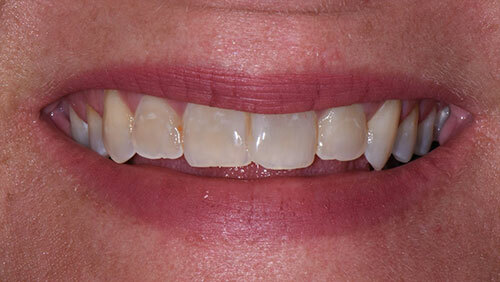 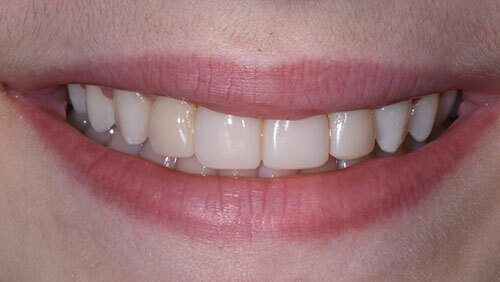 Bonding - Discolored and chipped restorations were replaced for a brighter smile. 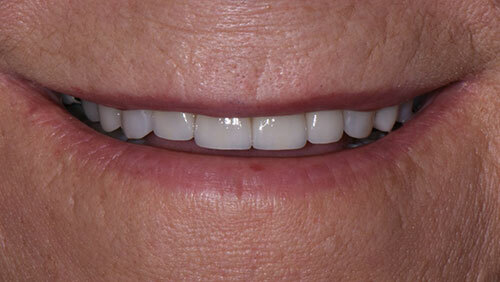 Implant/Veneer - An Implant Bridge to replace missing teeth and a veneer on a chipped tooth. 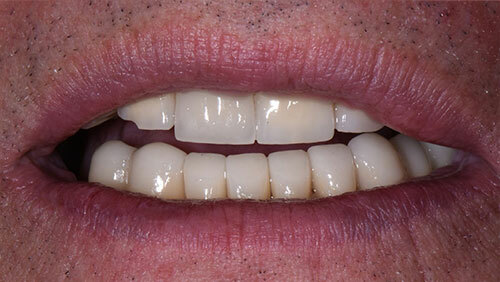 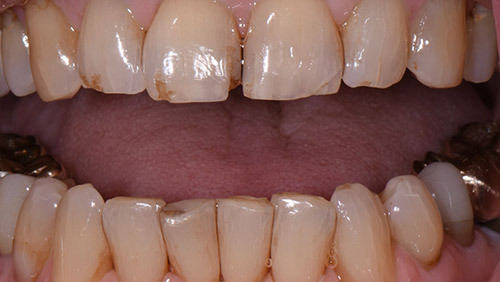 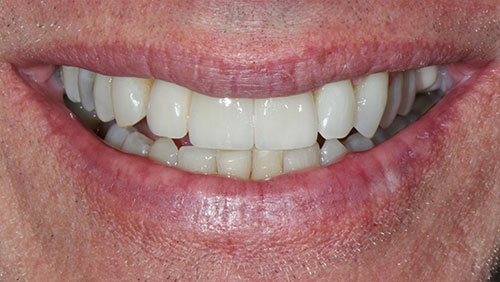 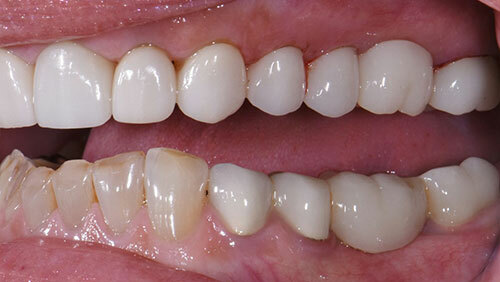 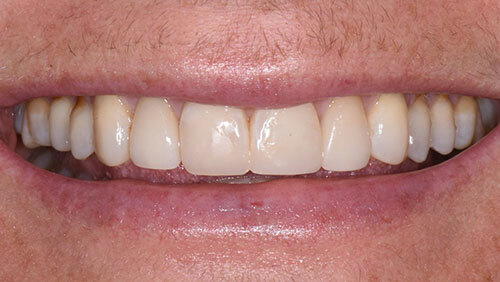 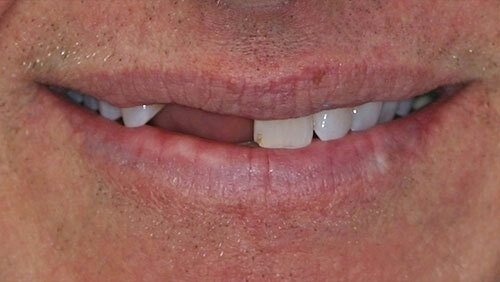 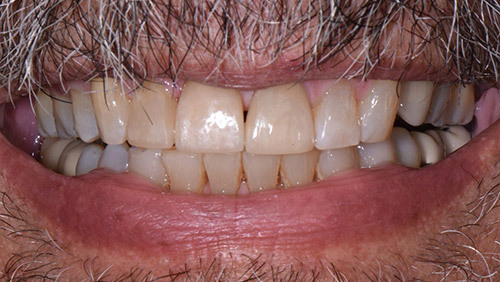 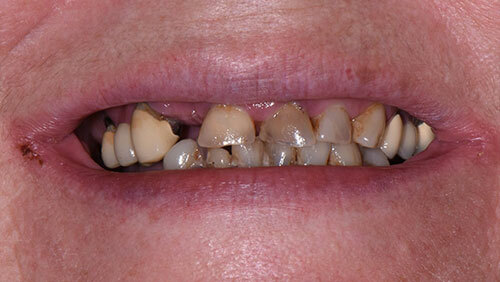 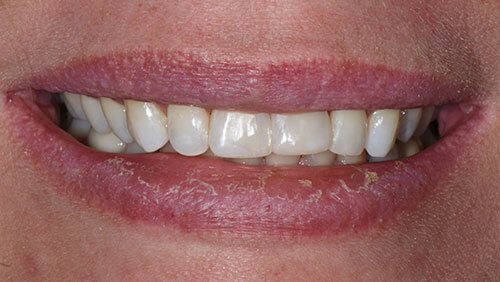 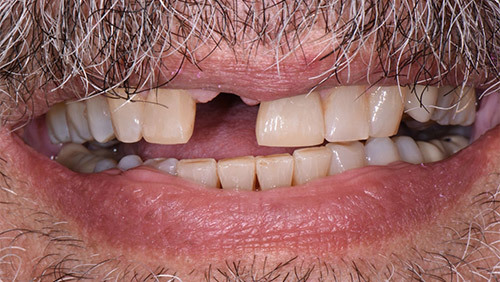 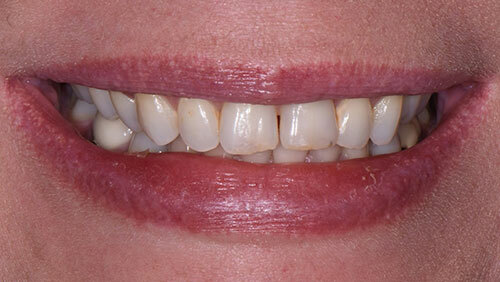 Bonded composite restorations to close space between teeth and repair chipped front teeth. 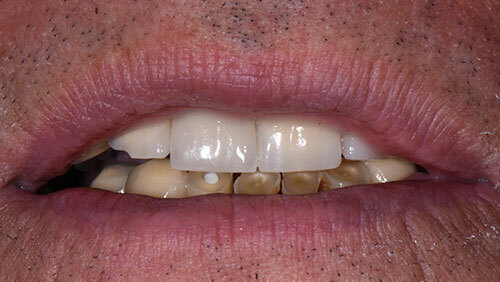 Implant to replace missing front tooth. 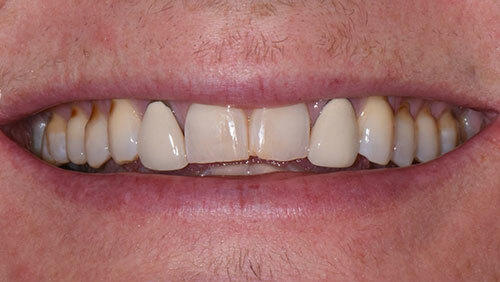 Four Unit Bridge replacing missing molar. 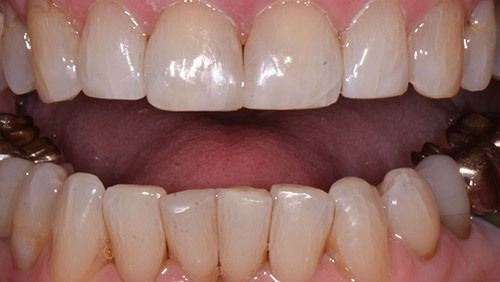 Full crowns on lower arch.